Just to let you know new MTRC clothing arrived yesterday and is now in the club shop on the link below. We still have some great items on SALE still so check them out and get those Christmas stocking fillers ordered! Cheers for all of the club shop xmas purchases - hope all you chaps lucky enough to receive some MT merch in your xmas stocking got the right size!! Check out the link below for club shop latest with many items on sale and new items in stock..
New in the club shop! Hi Vis Vest with MTRC Badge on the back.. They will be available in the club shop later this evening.. 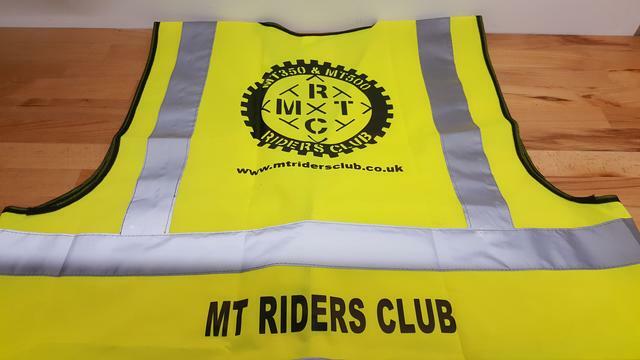 Direct link for Hi Vis Vests..